Do you know a person who is having difficulties with their reading and writing skills? 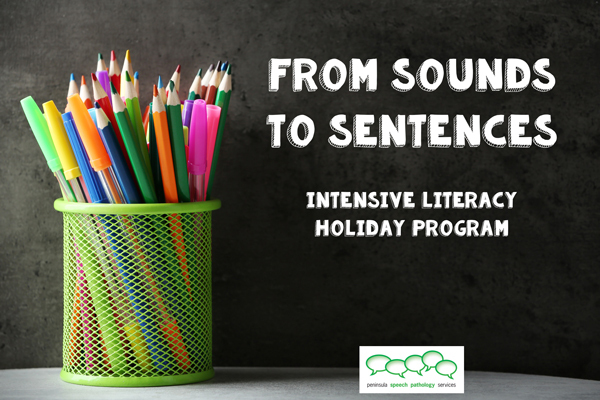 Our Sounds to Sentences program aims to equip children with the foundational skills they will require for literacy competence. Children attending will be provided with strategies to assist in decoding for reading and segmenting for spelling. With a strong emphasis on the link between letters and the sounds that they make, as well as morphology (think ‘–ing’, ‘-ed’ and ‘s’ endings), we will enhance the skills your child has already learnt and begin to build upon these. Please contact the clinic on 5975 1500 for more information.